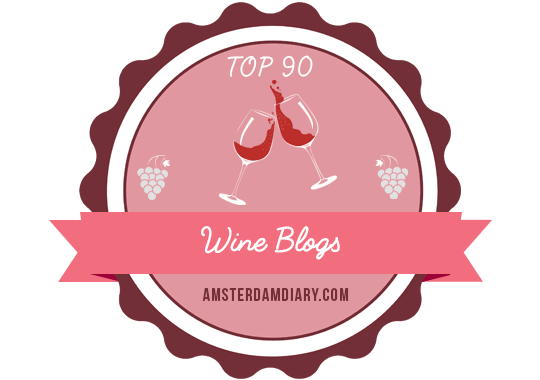 It’s not quite yet the end of August, but below is my month-end roundup of great wines, from Dry Creek Valley, Napa Valley, Pennsylvania, Sonoma County, Spain, and Willamette Valley. This is not an all-inclusive list, so if you haven’t checked out this post from my trip to Hudson-Chatham Winery a couple of weeks ago, please do. As always, your palate may vary. If a wine could be extroverted, it would be this one. A blend of 80% Cabernet Sauvignon, 15% Merlot, and 5% Petite Sirah, it’s definitely not shy, boasting floral aromas, ripe blackberry, blackcurrant, and cranberry on the palate, and grippy tannins. I tasted this over a course of a few days and the tannins were still very much at the forefront, so this wine is young, ready for a little more time in the bottle or decanting if you can’t wait. ABV: 15.4%. Winemaker: Gio Martorana. This was a sample provided by Martorana for a Dry Creek Valley Twitter tasting. When I first saw and tasted this, I couldn’t help but exclaim what a beautiful, elegant wine this is. The purple-red, magenta color is eye catching. The aromas are floral and feminine. On the palate, it’s soft, round, and balanced, with an impeccably silky mouthfeel, and luscious, dark berry flavors. I am confident that this loveliness comes from outstanding estate vineyard fruit and meticulous production: stemless, whole berries that were transferred to open-top fermenters, a five-day cold soak, punch downs 2-3 times per day for 10 days, then aging for 15 months in 40% new French oak. ABV: 14.5%. Winemaker: Brad Longton. This was a sample provided by Fritz for a Dry Creek Valley Twitter tasting. The name Altobasso (high-low) comes from the vineyard sources of the two grapes, Hawk Mountain, a higher altitude vineyard which contributes 60% Sangiovese, and Valladares Estate, a lower altitude vineyard which contributes 40% Barbera. Produced with native yeast fermentation and neutral oak aging for 16 months, the resulting blend is a wine that speaks to my palate. The floral aromatics, juicy, red berry fruit, earthiness, leather, texture, and acid are pleasurably abundant and scream for food, especially a rich, hearty Italian or holiday meal. ABV 14.3%. Only 189 cases made. Drink now through 2028, if you can wait that long. Winemaker: Evan LaNouette. This was a sample provided by DaVero for a Dry Creek Valley Twitter tasting. The Caravina Cabernet is a second-label wine first offered in 1999, whose name means “My dear vine” in Italian. I tasted this wine over the course of a couple of days. The second day open, this wine demonstrated its loveliness, with a soft, round mouthfeel, lush, dark fruit, chocolate, supple tannins, and a spicy finish. I had no idea this was a 92+ point wine (Antonio Galloni), but it sure lives up to that rating. ABV 14.8%. 980 cases produced. Winemaker: Jeremy Weintraub. This was a gift from a friend. Chardonnay, unless from Burgundy, or made with little or no oak influence, is not usually a go-to wine for me. This was a gift from a friend. Huge Bear Wines, the second label of Knights Bridge Winery, makes this Sonoma Chardonnay that sees partial malolactic fermentation. It shows an intriguing mélange of tree and tropical fruits, citrus, vanilla, caramel, and baking spices, with a creamy mouthfeel, yet noticeable acid. This was a gift from a friend. I first tasted this rosé in May 2014 at Penns Woods Winery and brought a bottle home with me. I was curious how well this has held up after traveling across the country and being stored for 15 months. I am happy to say that it’s still lovely. This is a red wine lover’s rosé, with a rich, salmon color, juicy palate, and aromas and flavors of raspberry, strawberry, stone fruits, and melon. The bright acid finish lingers long enough to make you want another sip. This was a gift from a friend. This is an elegant, yet rich, Pinot Noir, from the warmer 2012 vintage. The mouthfeel is round and plush, due to time spent in French oak barrels, 56% new. It yields luscious darker fruit, like plum and blackberry, firm tannins, earthiness, and vibrant, tart cherry acidity. I tasted this with Cornerstone Cellars’ Craig Camp in his suite at the Wine Bloggers’ Conference. ABV 14.1%. 1500 cases produced. 94 points Wine Spectator. This wine is a riper Albariño, with dominant flavors of melon and stone fruits. However, it still demonstrates lemony acidity and salty minerality. It’s crisp, yet has a more substantial mouthfeel due to a small percentage of the wine being fermented in French barrels and aged on lees. It’s the duality of warmer climate/citrus fruits and crispness/mouthfeel that make this wine interesting. I purchased this at my local grocery store for #AlbarinoDay on Twitter. I have some exciting news for my readers. Next month, I begin writing for two new outlets, American Winery Guide and Snooth‘s Wine Writer Roundup Series, so I hope that you will continue to support me in these new writing ventures. Next month will also be a bit crazy for me in terms of travel and events. I’ll be flying to the East Coast for Labor Day weekend, then returning to California. I am booked every weekend in September for an event, as well as Garnacha/Grenache Day on Friday, September 18, when I will be participating in a Snooth Twitter tasting with some of my cohorts. It’s going to be a great start to fall!